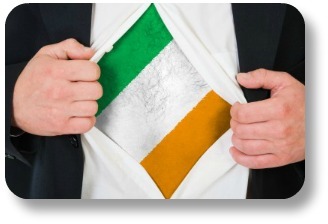 Irish Words and Phrases: A Key to Showing Off Your Irish Side! Irish Words and Phrases: Express Yourself the Irish Way, Wherever you Are in the World! Learning a few key Irish words and phrases is such a great way to express your love of the Emerald Isle. 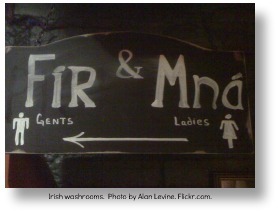 Not only will it endear you to your native Irish friends, it could also save you some embarrassment the next time you try to find the washroom at an Irish pub! To begin with, you will definitely want to know what we believe is the most recognized word in the Irish vocabulary! And being willing to venture out and say ‘hello’ (Dia Duit: pronounced JEE-uh-gwich) and ‘goodbye’ (Slan: pronounced slawn) would be appreciated in many parts of Ireland, the way it is anywhere you use the local language. We recommend you get comfortable with these basic Irish phrases. They are easy to say, easy to use, and they work in nearly any Irish drinking establishment in the world! 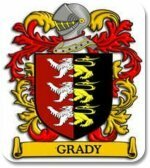 And if you want to know more about Irish sayings in general, you can visit that section here! Meanwhile, please enjoy this overview of Irish words and phrases! In some of our earlier visits to Ireland, and even in talking with Irish colleagues in the US, we have had many chances to practice our Irish words and phrases. On our way to learning the beautiful Gaelic language, we have found it fun and rewarding to practice everyday phrases and Irish slang in English. On rare occasions, we are ‘Bang On’ (pronounced Bang On, meaning we got it right). More often we ‘make a bags of it’ and have to be corrected. 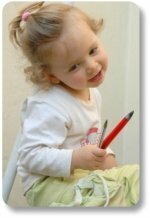 In such cases you are being asked ‘what’s up?’ and you should respond with what you are doing, where you are going, and whether you care to invite the asker to join you. While certain phrases may confuse you, we imagine others will be perfectly understandable. For example if your companion looks over your shoulder at an attractive man or woman and describes them as a ‘fine (foin) thing,’ we’re pretty sure you’ll get it. On the other hand, if your companion frowns and nods at that ‘shower of savages,’ across the room, you may have a more difficult time figuring out what they’re talking about (let’s just say – it’s something you don’t want to be). And by the way, if somebody tells you you’re ‘suckin’ diesel,’ don’t get angry – it’s a good thing (means you’re doing great, making sense). If you prefer to kick it up a notch and actually speak a bit of the language, there are a few words and phrases you should definitely know. The most basic greeting, ‘how are you,’ Conas ata tu? (CUN-es uh-TA tu). The standard reply ‘I’m doing fine,’ is Taim go maith (TAHm g’ MAW). Goodbye (slan) is pronounced SLAWN. Other greetings could be ‘good morning,’ maidin maith (May jun my) or ‘good evening’ trathnona maith (traw no nuh my). To say ‘please,’ le do thoil (LE doh HUL). To say ‘thank you,’ Go raibh maith agat (GUH ROW MAW ug ut). And ‘you’re welcome,’ is go ndeanai mhaith duit (Go nia-nee wa ditch). 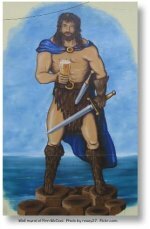 And finally, ‘where do I find the bathroom?’ Ca bhfuil an leithreas (CA wil awn LE HER as?). 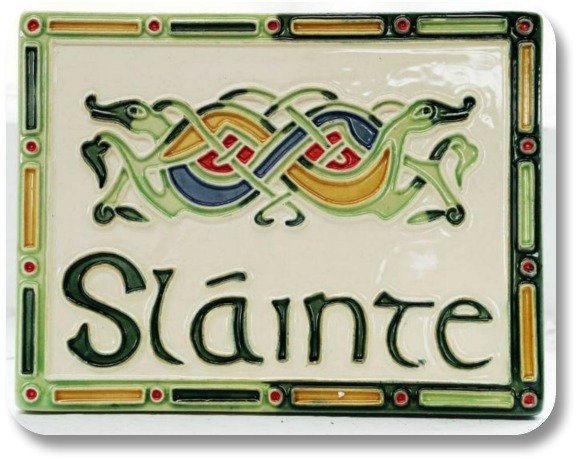 Irish words and phrases give us a window into Irish culture and heritage. 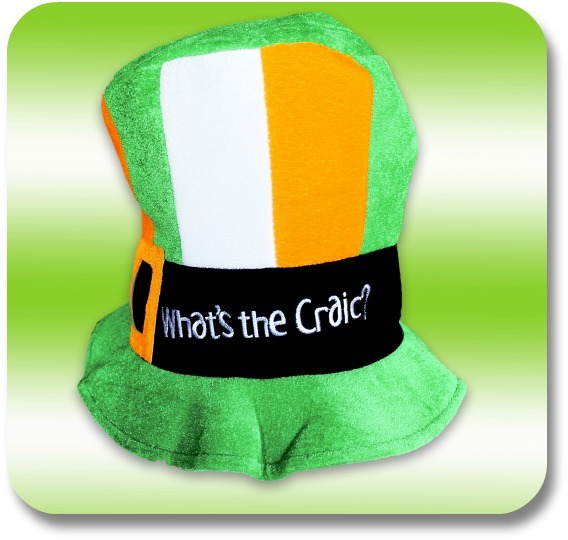 Share them during special occasions, to celebrate Irish culture and express your personal Irish side!